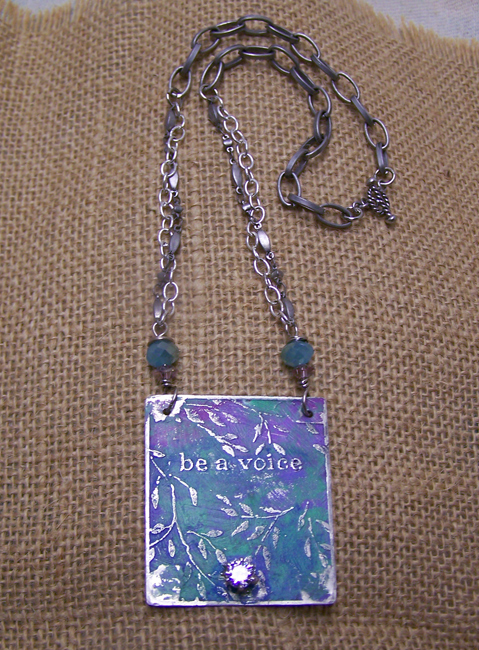 From our new "Hearts of Rescue" Collection...a lovely rescue-themed necklace in etched nickel silver, colored in delicate hues of mixed blue-greens and lavender. This necklace is accented with a light amethyst-colored sparkling cubic zirconia in a sterling silver prong setting. The mixed-style chain is approximately 16" long, with a sterling silver toggle clasp. 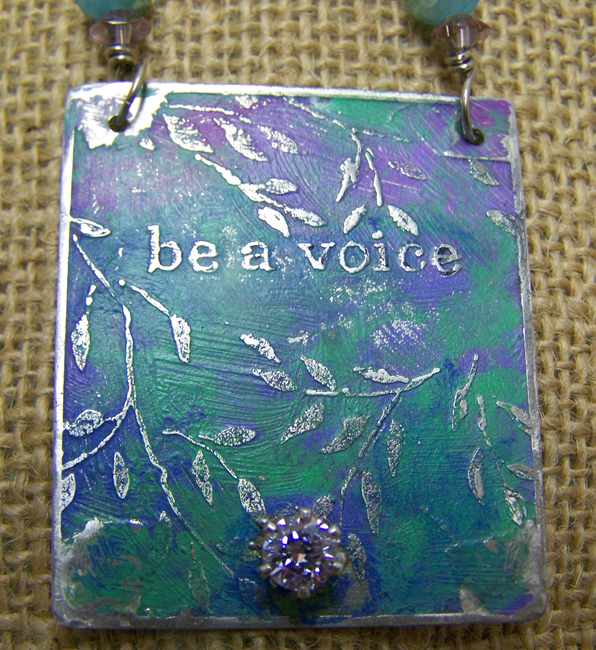 The pendant is 1 1/2" x 1 1/2". The etched design is a delicate tracery of willow leaves. An original design by Red Hot Kitties, completely hand fabricated.